For all we know, the web forms for the "customer journey" (hmmm, hate this 'creativespeak' rubbish) were changed and whoever had given the user assurance that things would go smoothly knew nothing about this change. Therefore I think it a bit strong in this case to suggest that the user was misled deliberately. 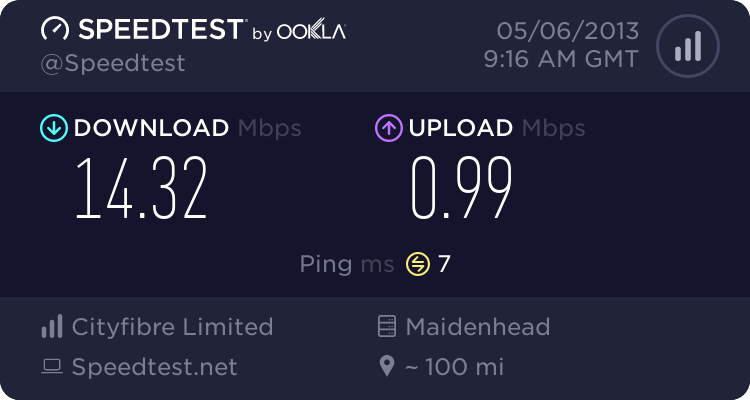 Not all that long ago, people were seeing options to sign up with no 'broadband only' and that was some <expletive>er's marketing trial in action. Some saw 'broadband and phone' plus broadband only options, while others only saw the 'broadband and phone' options. Confusion about whether this depended on particular browsers, etc, ensued, until a factual answer was forthcoming. I think the problem is that of marketing people thinking they know better than customers (sorry, "prospects") as to what they want, or what's "good for them" and if it means selling 2 products to 80% and <strong expletive> the other 20% who look to other ISPs, then "so be it", as they don't seem to care they are alienating possible (and as an addition, some existing) customers because of their heavy-handed methods. Is there anything we can help with at all? I second that. I couldn't find caller display in signup, so I rang Plusnet but hung up after holding for 13 minutes. Plusnet reps seem to try very hard in this forum, it's a pity they are let down by what appears a shabby trick. It's all very well spouting about "honest broadband from Yorkshire" but this omission gives a different image. By the way, I found that Talktalk does not charge for caller display. Always been a disorganised mess and always will be in my opinion. It's the online order page which is misleading by omission. There could easily be a simple accordion which expands to list the call features, priced and ready to order. Plusnet's official justification for omitting this is that customers "prefer" it based on increased sales figures. This is like something from the school of Trotters Independent Traders. Rodney: Del, shouldn't we just tell people that these kettles don't come with the lids? Del: no no no Rodders. Put those back under the table! A good honest business gives the customer what he wants. And our customers don't want to know about that. Rod: how do you mean? Del: Well, if people like something they buy more of it don't they. Del: so it's simple you plonker! since we stopped telling them the lids cost extra, sales have been through the roof! Yes. Change your terrible TV advertisements. Even if I was tempted to use PLusnet I would be put off by that offensive and deliquent man who causes criminal damage as he petulantly storms out of a restaurant, followed by a crowd of 'rebellious' sheep. What kind of British public do Plusnet think this ad appeals to? Chavs, Daily Mail readers, the permanently angry? Count me out of your image of what it is to be British. Virgin Media: 152mb/12Mb , land line, mobiles x2, TV - VIP HD box + TIVO 1Tb box. Was agreeing with you entirely until you started rambling about Chavs and the Daily Mail? When I signed up the option was there, I didn't select due to the £12 extra for a year. If it was free then I'd take it, but my landline is a requirement for BB we have mobiles with unlimited inclusive mins (inc 08) so last year we made 2 chargeable calls, and those were family members using the landline whilst we were out! Looks like they have tried to "simplify" the sign up process to make things simple for the "average" user! Plusnet's portal has always been naff and slow, that will never change!